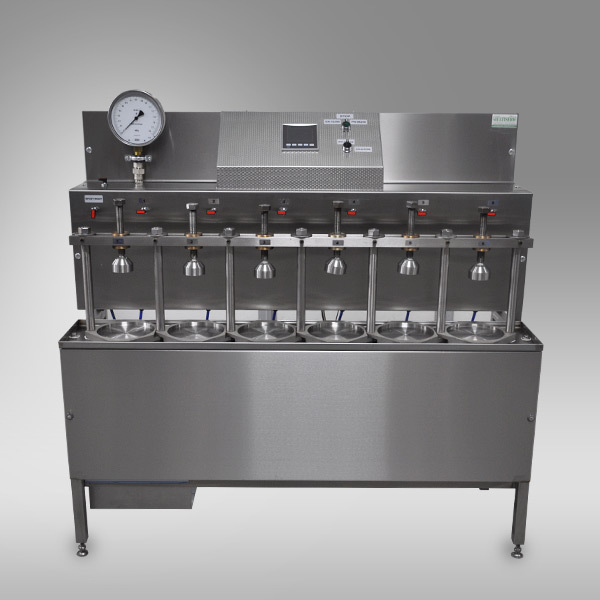 Automatic operated device used for the determination of the depth of penetration of water to hardened concrete specimens under pressure. 3, 6, 12 or 18 specimen capacity models The system can test 150 mm cube specimens, Ø100x200 mm cylinder specimens. 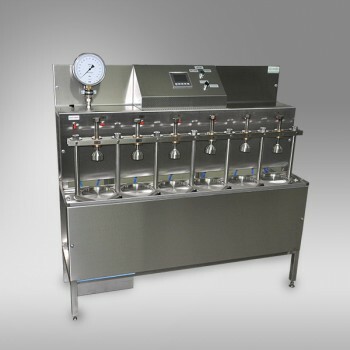 Up to 10 bar of working pressure is generated on the sample with 0.1 bar precision and controlled by an electronic controller in an automatic cycle. The system comprises impermeability gaskets for every cell. 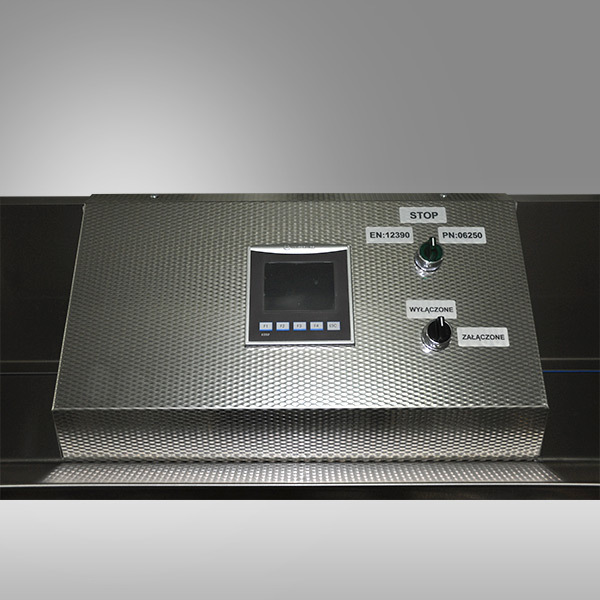 The measurement apparatus is supplied as standard. The apparatus hasn't to be fitted with an air compressor. Universal rubber seals 75 mm and 100 mm dia.